My first baby was a girl. I didn't know how to sew when she was born and so I didn't get a chance to sew things for her. 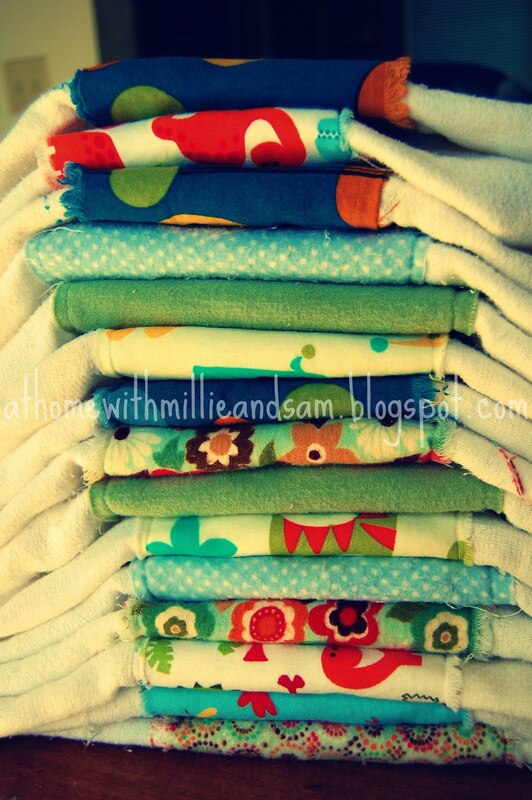 I started with a pile of the plain 'ol Gerber tri-fold cloth diapers we used for burp rags with Millie. And I turned them into a pile of boyish burp rags! Thread, scissors, sewing machine, etc. I love this idea. I might just make some for my next kid...whenever that is. 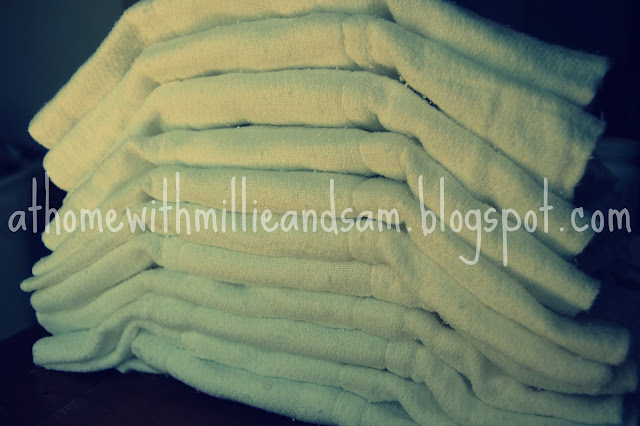 I found your blog from your daughter's birth board on BBC and just wanted to say that I really enjoy reading your blog! I have to laugh when I read some of your posts, because we seem very similiar. I have a Sept. 09 daughter and just had my second daughter in May. I took up sewing after my first LO and made burp cloths just like these from my Gerber prefolds that I had never used. Ok, well this has turned into a novel, lol but I have been checking in on your blog for awhile and just thought I would let you know that I enjoy reading it.